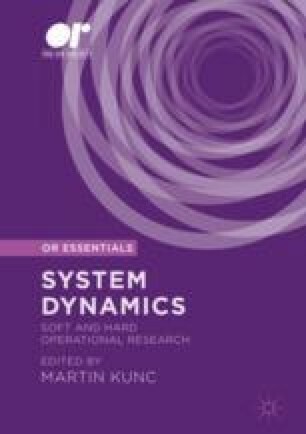 The paper presents a system dynamics model to examine an enduring puzzle of corporate strategy. Why do extensive empirical studies continue to show a weak relationship between diversification and performance, despite persuasive arguments suggesting performance should improve? And why do well-intentioned executives seemingly turn a blind eye to the available empirical and anecdotal evidence that diversification rarely pays-off? Some diversification strategies go seriously wrong. Could it be that researchers and executives are misled by the complexity of dynamic multi-business investment decisions? The model draws on case material describing Goodyear’s move out of its core tyre business into oil and gas in the late 1980s. Two versions of the model compare the fortunes and performance of hypothetical twin firms, FocusCo and DiversiCo, each facing an identical downturn in their traditional core business, and starting with identical levels of strategic resources. FocusCo invests strictly in its core business while DiversiCo has the option to invest in non-core business if managers view the performance of the core to be unsatisfactory. Simulations show how DiversiCo’s success (relative to FocusCo) depends both on business fundamentals (real profitability and relative scale of the core and non-core) and behavioural traits of typical corporate investment policy covering target setting, managers’ expectations, limited foresight, prior beliefs, optimism, confidence and learning style. There are some surprises such as the very long time delay in recognising clear winners, and counterproductive effects on performance of seemingly positive traits such as optimism and fast learning. The paper ends with comments on the implications of the results for practice and research.